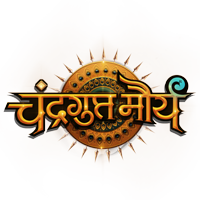 This is a historical saga of the first king of united India, Chandragupta Maurya. After the death of Porus, Alexander has left behind his general, Seleucus Nicator to expand his kingdom in Bharat. With his selfish motives, Dhananand, the powerful king of Magadh, remains the biggest hindrance for United Bharat. With the Internal & External threats how will Chanakya team up with Chandragupta Maurya to take forward the vision of 'AKHAND BHARAT'? Chandragupta Maurya - a reluctant student, who has no feelings for his motherland, harbors only one goal - to earn his freedom from the hunter who he was sold to as a child. Chanakya, the wise strategist who is completely dedicated to the dream of a united Bharat, sees through the potential of this street smart teenager. But will the tenacious & wise Chanakya be able to train Chandragupta in a manner that will enable him to get the whole of India together?